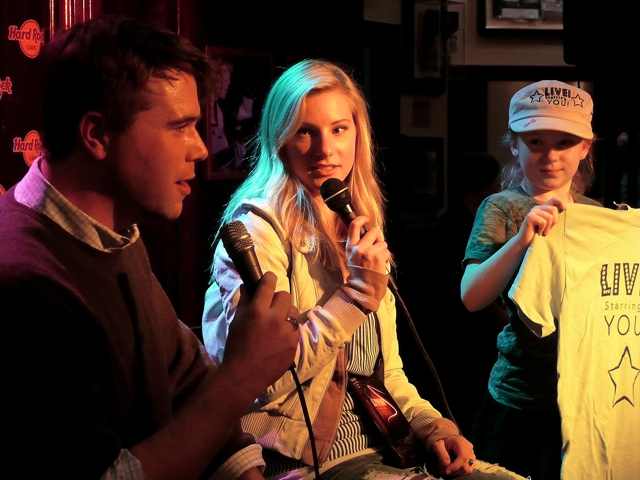 5 Fame Insights with Glee’s Heather Morris – Live! Starring ... You! Millions of people love watching Heather Morris every week as Brittany S. Pierce on Glee. I’m one of them. But I feel pretty lucky to know Heather in another way – she’s my friend. I met Heather four years ago when I was writing a story on backup dancers for Dance Spirit magazine. At the time, Heather was a dancer for Beyoncé. Though we live on opposite sides of the country, we kept in touch. We grabbed dinner in L.A. the next summer, and the year after that, Heather (by then one of the stars of Glee) came to the hometown of Live! Starring … You! – Buffalo, New York – to teach workshops with us.